Happy National Golf Lover’s Day! Golfer’s elbow (medial epicondylitis) causes pain and inflammation in the tendons that connect the forearm to the elbow. The pain centers on the bony bump on the inside of your elbow and may radiate into the forearm. It can usually be treated effectively with rest. Golfer’s elbow is usually caused by overusing the muscles in the forearm that allow you to grip, rotate your arm, and flex your wrist. Repetitive flexing, gripping, or swinging can cause pulls or tiny tears in the tendons. 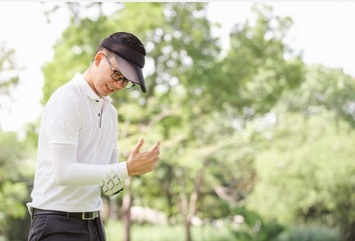 How can we help your Golfer’s Elbow? A physiotherapist may use electrotherapy such as ultrasound or laser treatment to help reduce pain and inflammation and aid the healing process. Massage Therapy techniques may be applied to both the tendon and the connecting muscles. Cross friction massage to the tendon is sometimes used if the injury has become chronic or does not respond to initial rest and ice treatment. Applying massage to the muscles of the forearm can help reduce tension in the muscles improving their function which long-term should help reduce the strain on the tendon at the elbow. What an awesome piece of news to get today! Thank you to all our great clients and community and those who nominated us! Osteoporosis. As women age, bone mass is lost faster than it’s created. This condition, called osteoporosis, causes bones to become increasingly porous, brittle, weak and prone to fracture. Although it occurs in both sexes, women—especially those who have gone through menopause—are at the greatest risk. Physical rehabilitation can help minimize the overall effects of osteoporosis, reduce the risk for falls and improve neuromuscular and musculoskeletal coordination. Pelvic Floor Dysfunction. 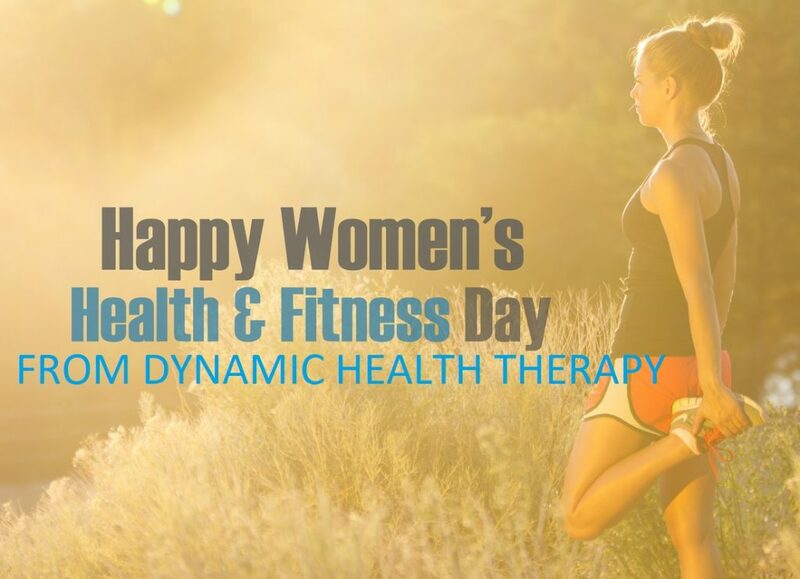 Appropriate rehabilitation can help women manage the weakening of their pelvic floor—the group of supportive muscles, ligaments and tendons at the base of the pelvis caused by trauma, pregnancy and aging—that results in urinary incontinence. Female Cancer Rehabilitation. Breast and gynecological cancer treatments often cause significant physical impairments. Our rehabilitation team provides a structured, supervised exercise and physical regimens to improve cardiopulmonary fitness, minimize cancer related fatigue and other side effects. Biomechanical and musculoskeletal evaluation of the pelvis and lower back. Vaginal and rectal myofascial relief techniques. Pelvic floor training with biofeedback and electrical stimulation. Education on pelvic floor function. Pelvic floor muscle exercises to help decrease the extent or frequency urinary incontinence. Manual therapy to improve pelvic floor and surrounding muscle tone. 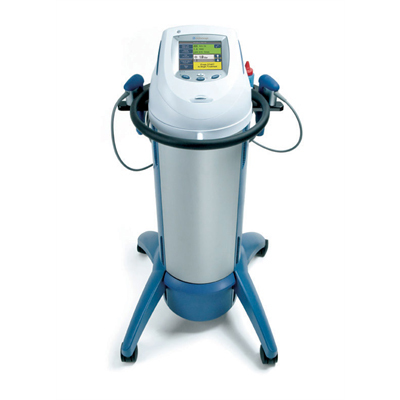 Shockwave therapy is a multidisciplinary device used in orthopedics, physiotherapy, sports medicine, urology and veterinary medicine. It’s main assets are fast pain relief and mobility restoration. Together with being a non-surgical therapy with no need for painkillers makes it an ideal therapy to speed up recovery and cure various indications causing acute or chronic pain. Shockwave is an acoustic wave which carries high energy to painful spots and myoskeletal tissues with subacute, sub-chronic and chronic conditions. The energy promotes regeneration and reparative processes of the bones, tendons and other soft tissues. It is becoming one of the most popular therapy modalities in modern day techniques to heal your injuries. Did you know we treat Infants and Children for all kinds of conditions? Children are commonly thought to be immune to structural stresses and strains, and resilient to injury. In reality, strains and tensions early in life often become incorporated into the growing body. Fortunately, children have a profound life force which can allow rapid results with osteopathic treatment. How can Osteopathy benefit Infants and Children? Osteopathy is a perfectly designed non-invasive treatment for many common issues in newborns, infants and children. Children suffering from a variety of “common” childhood ailments can often see complete improvement in only a few sessions with a qualified Osteopath. Moms-to-be! A Great Product For You! Attention all Moms-to-be! Have we got the product for you! A lot of pregnant women will suffer from body aches and pains, such as back and hip pain, throughout the duration of their pregnancy. The Mom-Ez Maternity Support is a great product sold here at DHT to help alleviate some of these symptoms. This is a brace designed to gently lift the stomach to support your low back and hips. Even better, this product can last throughout the entire length of your pregnancy. Its design makes it completely adjustable throughout your pregnancy! This brace is made from cool and comfortable materials to make movement easier. It also helps to reduce fatigue and maintain posture. It is also machine washable! If you’re a Mom-to-be looking for something to help with low back pain, movement and posture this is a great tool to use. Meditation is a relaxation technique that is completely underrated! A technique so simple, yet holds so many benefits. Curious of what they are? – Improves mood and behavior! You can start your practice anytime and anywhere- it’s really that simple! You can do it on your own or with the help of guiding videos found on YouTube or soundtracks that you can find on the App store! It is a great way to reduce stress and improve overall wellness! Naturopathy! A New Service Offered at DHT! We are thrilled to say that DHT is now offering Naturopathy services! On March 22nd our first Naturopathic Doctor, Dr. Goldthorpe, will begin her practice here at DHT. We want to give you an insight on what this service has to offer. As a result, this will give you an idea if this is something that could be beneficial for you! Naturopathy is a primary health care profession aimed to prevent, treat and maintain optimal health through the use of therapeutic methods and substances that encourage ones self healing process. This medicine use the body’s self healing process as the first line of defence against illness. They act to identify and remove obstacles to help the work of this process. They work to remove the underlying cause of the illness rather than just supressing the symptoms. To do so, they use methods and substances to lessen the risk of harmful side effects. As well as, using the least invasive method to diagnose and treat. In addition, they respect the body and its ability to self heal. They work at all costs to aid in this process. They use a whole body approach. Looking at not just the physical aspects but the emotional, spiritual, environmental and genetic factors along with it. In conclusion, let us introduce Dr. Goldthorpe! Dr. Goldthorpe’s practice focuses on women’s health, metabolic function, brain health, GI concerns, autoimmune disease, and pediatric care. Her protocols target the underlying cause of illness. They include metabolic analyses, nutrition, lifestyle changes, botanical medicine, homeopathy and TCM. Finally, for any more questions about Dr. Goldthorpe or to book an appointment call our front desk! Sleep is so important for many reasons, including functioning at our best everyday. The first week of March is known as National Sleep Awareness Week. To help celebrate and support this month we want to share some tips and tricks to help improve sleep patterns! Sometimes sleep can be hard to come by. We may not feel tired enough, or our thoughts won’t slow down enough to truly fall asleep. There are some things we can do to help with our sleep patters, to provide a more consistent and well rested sleep. Allow your sleep environment to be conducive to sleeping- Make it your sleep sanctuary. Keep artificial light out and natural light in. Ensure there are no distractions to really allow you to relax into slumber. Stop watching television or looking at your phone at least 30 minutes before your decide to sleep. Try a more relaxing activity before bed such as reading or journaling, which will help you unwind. You can also try listening to relaxing music or white noise to lull you into sleep. Deep breathing or meditation- Deep breathing and meditation are one in the same. Find a comfortable position and allow your mind to focus on your breath. If you are unsure of how to start something like this, try a meditation app which will lead you in a guided meditation specific to sleep. This can also calm your mind down, so instead of focusing on the one million things running through your head you focus on one intention, which is relaxing and preparing for sleep. Keeping hydrated- I feel like we have mentioned this so often. Water is so important! You want to make sure that you are keeping hydrated in the day so you can allow yourself to stop taking in any liquids too close to bed time. This will help prevent a midnight trip to the washroom but will allow you to stay hydrated for the morning ahead. Essential oils- They really help with anything and everything! Find a scent that can calm and relax your body. Scents like lavender and eucalyptus work great in situations like these! You can even try using these essential oils in a nice warm bath before bed which will also allow your body to unwind and prepare for sleep. Try and create a routine- This will allow your body to create a sleep schedule. Wake up and head to bed at the same time each day. Engage in your nightly routine before bed to allow you body to relax and engage in an uplifting morning routine to help prepare for the day. By doing this, your body will recognize when it is time to sleep and when it is time to wake up and get started with your day. If you nap, nap early- Napping is amazing, no doubt. However, napping may confuse your body, keeping you up later at night. A suggestion would be to try and avoid napping. However, if you really need to nap do it earlier in the day. This will give your body enough time to reenergize itself but be ready for sleep at bed time. Exercise and eat well!- This really is key. If we take care of our bodies, feed it the right nutrition and keep it active, sleep will come easier at the end of the day! There you have it- seven tips to help improve your sleep patterns! Hydration!- The Importance of Keeping Hydrated, Especially After Therapy. Everyone knows how important hydration is. We’re always told that water is the best medicine and that our bodies need it to function properly. Truth is, dehydration can have negative effects on our body. When dehydrated you may feel things such as fatigue, light-headedness, confusion, thirst. You may also have body pains including headaches. To most of us, this information is old news. But did you know how important it is to hydrate following a manual therapy treatment such as massage? A lot of the time you will hear your therapist say, “Make sure you drink lots of water following your treatment”. With their treatment they are also working with your blood flow and circulatory system. When you have muscle tightness you most likely have reduced circulation going to those areas. This is why after working with specific muscles or areas the therapist will flush out that area. This is done to encourage proper blood flow and circulation. This can be dehydrating- which is why it is so important to drink water following treatments. Drinking water following a treatment not only keeps you hydrated, but can help prevent muscle soreness and pain following a treatment. Drinking water following a treatment can also flush out any waste and toxins from your body. Next time your therapist suggests this as homecare, listen! Provide your body with the hydration it needs all the time (before and after treatment, and days you don’t have treatment) and help prevent those muscle aches and pains caused by not enough water. Your body will thank you! 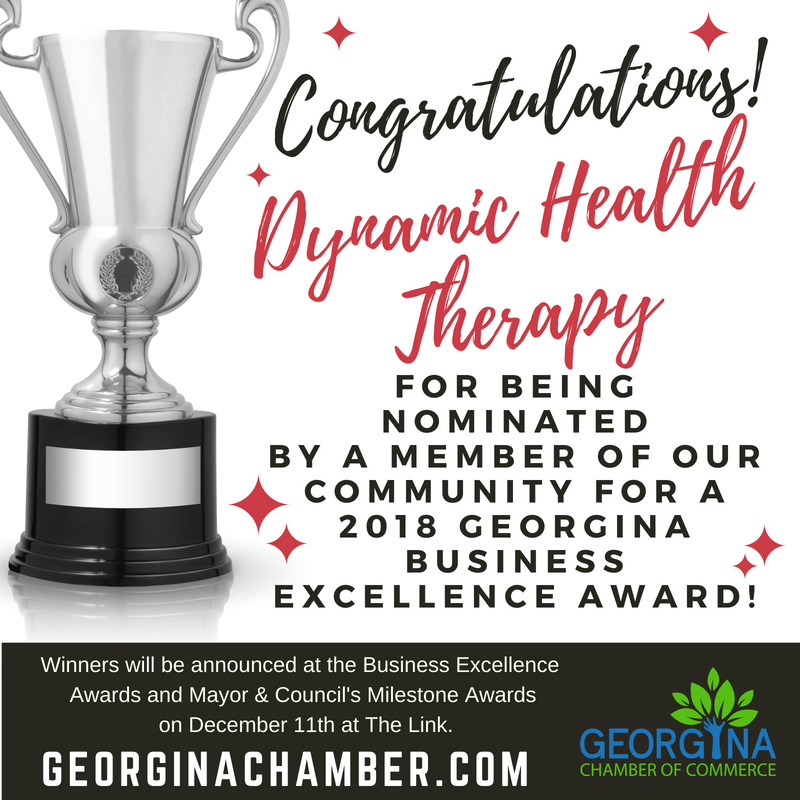 Physiotherapy, Registered Massage Therapy, Chiropractic, Osteopathy, Sports Injury Therapy, Scar Release Therapy, Fertility Treatments, Hypnotherapy, HypnoBirthing, Concussion Rehabilitation, Crainosacral Therapy, Exercise Rehabilitation, Custom Orthotics and Gait Scan, Pregnancy and Pediatric/Infant Treatments, and Personal Training.